Rumors are flying. Why hasn't William Michael Windsor posted anything lately? Is it true that he has been arrested? Is it true that he is being held in an undisclosed location as a political prisoner? Bill Windsor has been finalizing some of his criminal court responsibilities and filings. And, he has been working diligently on a Petition for Supervisory Writ that will be filed with the Montana Supreme Court on Friday. William M. Windsor is asking the Montana Supreme Court to declare that a few dozen things that Judge James A. Haynes has done or hasn't done are unConstitutional. 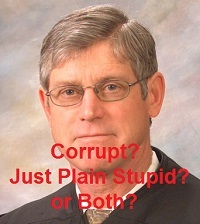 And, to add insult to injury, Bill Windsor is filing a Judicial Misconduct Complaint against Judge James A. Haynes and a Bar Complaint against Missoula County Attorneys Jennifer Clark and Kirsten Pabst. These are mighty juicy -- may be a record for the most violations of the Montana Code of Judicial Conduct in history. So, let's see if anyone cares. Federal court comes next. You are here: Home News William M. Windsor Criminal Case Denial of Constitutional Rights Where's Bill? 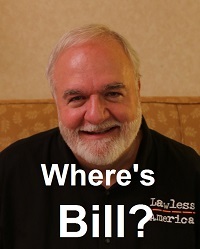 Where's Bill Windsor? Is he in prison? Is he dead?